-A Knock The Carb Out That Tastes Delicious! -Do you really want a protein bar that’s little more than a candy bar? We didn’t think so, that’s why there’s Knock The Carb Out. Knock The Carb Out is always the best choice, and our Knock The Carb Out are no exception – this is an exceptionally clean bar that’s made from real food ingredients that you’ll find in any grocery store – such as sweet potatoes, nuts, blueberries, oats, and egg white protein – that’s 20 grams of egg white protein per bar! How many other candy bar- protein bars can make the same claims? What’s that? You’re right - none! 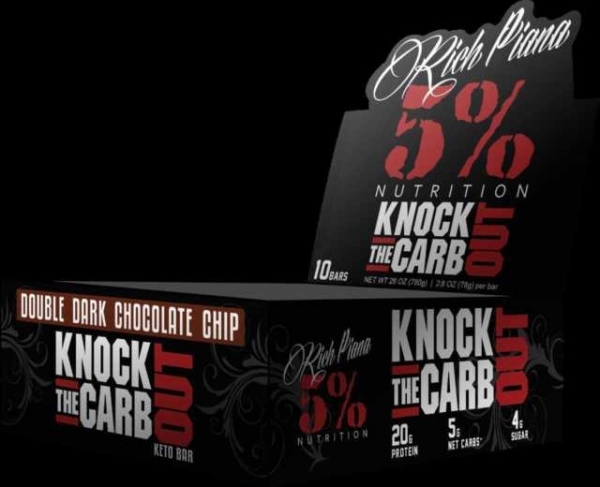 We also wrap Knock The Carb Out in a thicker foil for extended freshness, use only premium ingredients, and use absolutely NO fillers or chemicals. Compare our label to the label of any other bar on the market – it’s OK, we’ll be right here when you get back. 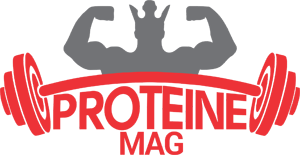 Once you compare Knock The Carb Out to the other products out there, you’ll understand – we wanted to create a superior quality, superior ingredient, REAL FOOD product that you can feel good about putting in your body – and we did, so put that candy bar down and grab a real protein bar! 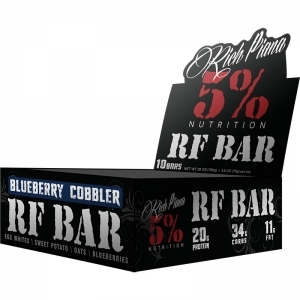 Consume a bar any time of day to increase your protein intake or as a meal replacement. Arahide, fibre probiotice, albus de ou, seminte de floarea soarelui, fulgi de ciocolata (zahar, ciocolata, lapte, unt de cacao, lecitina din soia, aroma naturala), lecitina din floarea soarelui, apa purificata, ulei de palmier (vanilie, sucraloza, sare de mare). Poate conține:arahide, soia, lapte sau produse derivate.